Parents know that checking out an ultrasound for the first time can be a joyous occasion, but it can also be completely unnerving to think of all the things that could possibly go wrong. But when your unborn baby gives you the thumbs up, you can probably relax and just enjoy it. 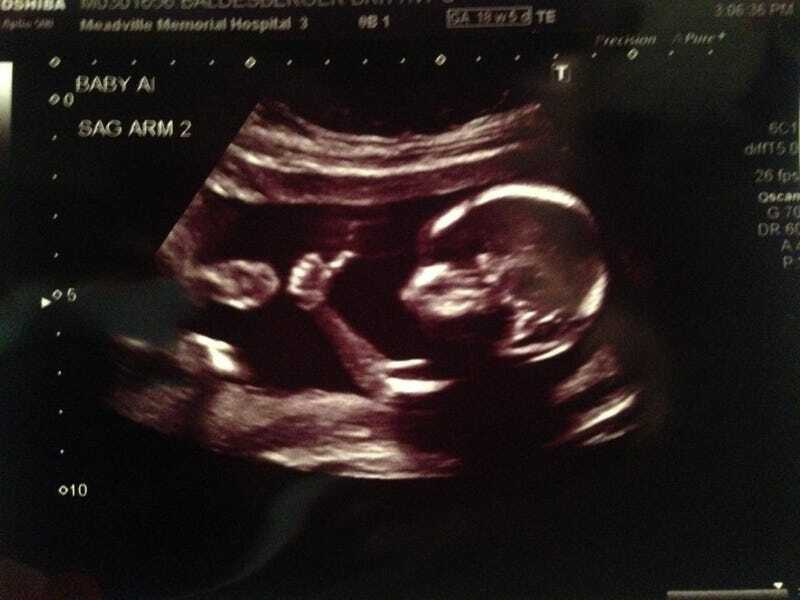 Redditor meancloth shared this photo of his wife's ultrasound earlier today on r/funny. The picture, dubbed by one commenter as "Fetus Fonzie" has been viewed almost 2 million times in less than 24 hours on Imgur. As if all that isn't enough to put a smile on your face, meancloth also told fellow Redditors that yes, they are expecting twins.